Two ways to chat means more fun with friends! Communicating with your teammates is important when playing games online. 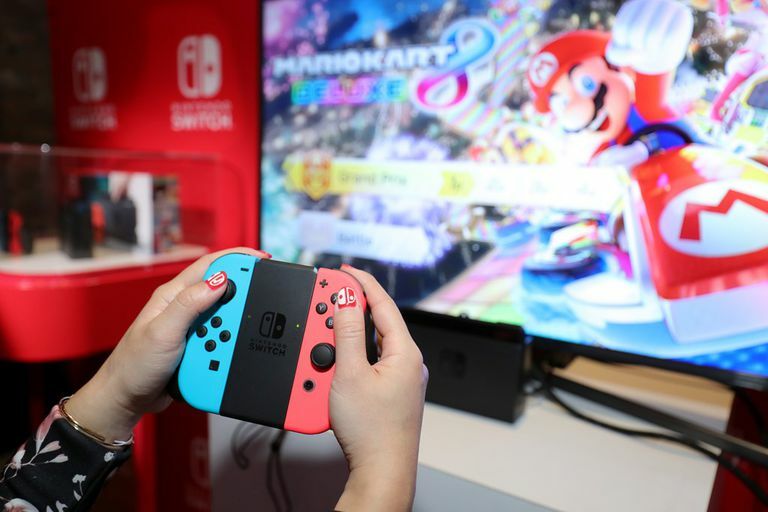 Nintendo has made the curious decision to build voice chat functionality into a separate smartphone app instead of the console. How does it all work? Here are the two ways you can start a Nintendo voice chat session. You can find a list of games that support voice chat in the app. Tap Main Menu > Voice Chat > Supported Software. Download and install the Nintendo Switch Online app on an Android or iOS device. Launch the game you want to play using the same Nintendo account and enter a mode that supports voice chat. On your smart device, tap Start when asked if you want to begin your voice chat session. The app will create a lobby others can join as you play online. Certain Nintendo Switch titles come with their own built-in voice chat functionality, meaning you can skip the app altogether and talk to your teammates within the game itself. Two online games currently offering this are Epic Games' battle royale title Fortnite and Digital Extremes' co-operative third-person shooter Warframe. To use voice chat in either one, simply plug your headset into the Switch's audio jack or USB-C port. You can adjust the volume from the game's audio settings or disable the voice chat option altogether if you don't want to use it. Obviously, the Nintendo Voice Chat app is not a perfect solution. Both Sony and Microsoft built chat functionality into their respective consoles, and the fact that Nintendo didn't follow suit is baffling. Using the app means you can't listen to game audio and voice chat through a single headset. You also can't use the app to chat with friends without first launching a game. However, there is some good news. When the app first launched, people had to keep their phones unlocked and the app running or they'd get disconnected. Nintendo has since updated it so voice chat will continue, even in the background.